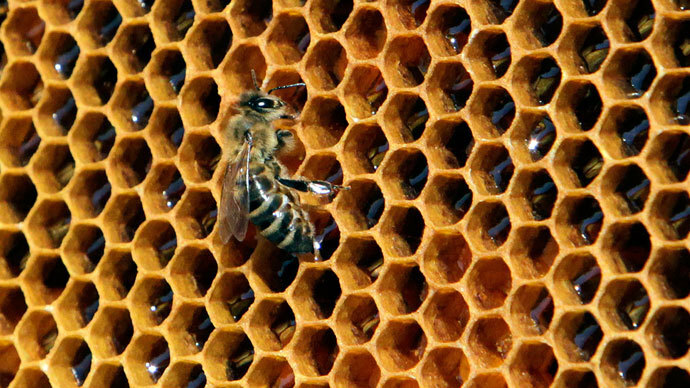 Nearly one quarter of the US honeybee population died over the winter, according to an annual survey. Beekeepers report the losses remain higher than they consider sustainable, and the death rate could soon affect the country’s food supply. 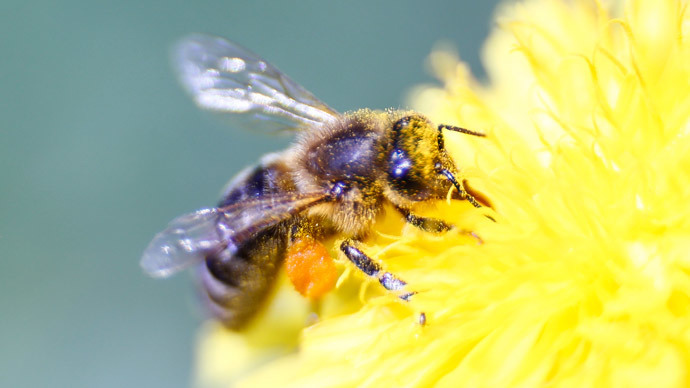 “More than three-fourths of the world's flowering plants rely on pollinators, such as bees, to reproduce, meaning pollinators help produce one out of every three bites of food Americans eat,” the US Department of Agriculture said in a statement about the survey. Bees’ pollinating role adds $15 billion to the value of U.S. crops, including apples, almonds, watermelons and beans, according to government reports. The study, produced by a partnership between the USDA, the Apiary Inspectors of America and the Bee Informed Partnership, found that 23.2 percent of honeybee colonies died over the winter, which is higher than the “acceptable winter mortality rate” of 18.9 percent. The good news for the beekeeping and agricultural industries is that the 23.2 percent colony loss rate is lower than that of Winter 2012-2013, where 30.5 percent of colonies died. "Pollinators, such as bees, birds and other insects are essential partners for farmers and ranchers and help produce much of our food supply. 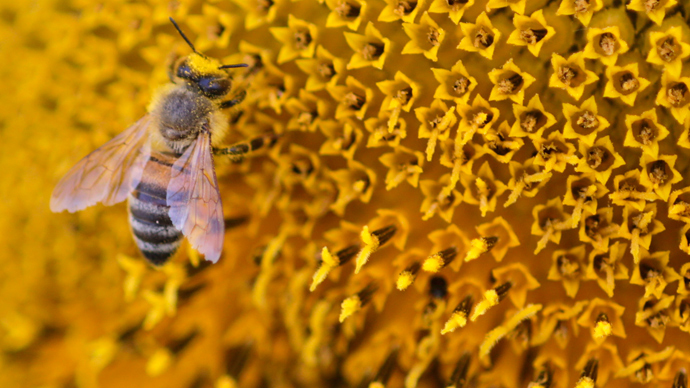 Healthy pollinator populations are critical to the continued economic well-being of agricultural producers," Agriculture Secretary Tom Vilsack said in the USDA statement. "While we're glad to see improvement this year, losses are still too high and there is still much more work to be done to stabilize bee populations." Honeybee hives are generally inactive during the winter, when the colony survives by creating a winter cluster. The bees bundle together for warmth, which self-regulates the internal temperature in the cluster’s center, according to the Back Yard Beekeepers Association. 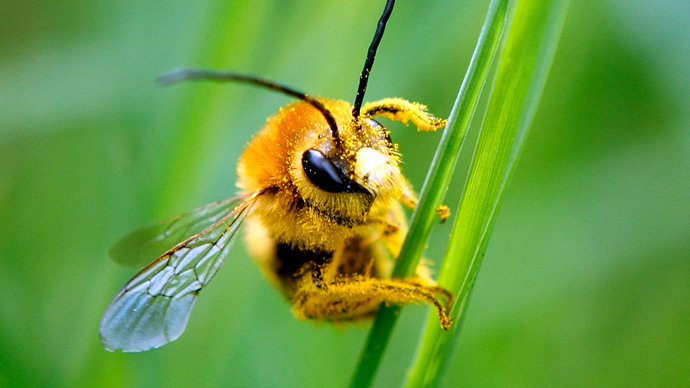 This winter, record cold temperatures, marked by polar vortices sweeping down from the Arctic Circle, may have proved deadly to the bee population. "It was about the worst winter we've had in the past 20 years, for bee management and surviving bees," Jerry Fischer, chief apiary inspector with the Maryland Department of Agriculture, said to the Baltimore Sun. Maryland lost nearly 50 percent of its honeybee population, an increase over previous years, which averaged about a one-third loss annually. 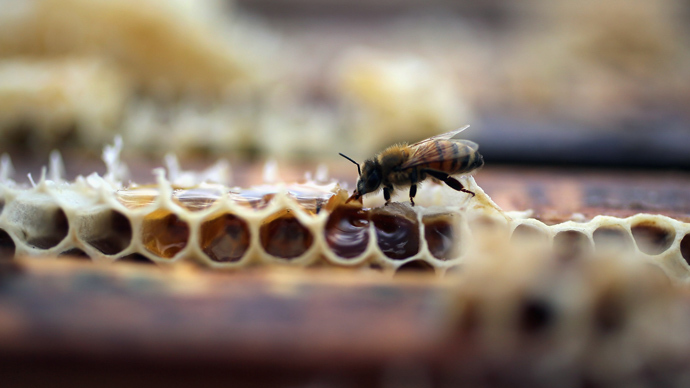 Fischer said that many of the colonies he inspected last summer appeared to not have stored up adequate honey supplies to survive the unusually harsh winter. A Harvard study published earlier in May found that two popular insecticides - both of which are neonicotinoids - are the likely cause of Colony Collapse Disorder (CCD), the disease killing off honeybees and threatening pollination of the world’s crops. The researchers noted that the colder the winter, the more the severe the harm from the insecticides. "With the damning evidence mounting, pesticide companies can no longer spin their way out of this crisis," Michele Simon, a public health lawyer who specializes in food issues, told Reuters. But neonicotinoid producers, including Bayer AG, Monsanto Co and DuPont, argue that mites - not their products - are to blame for the devastating loss. 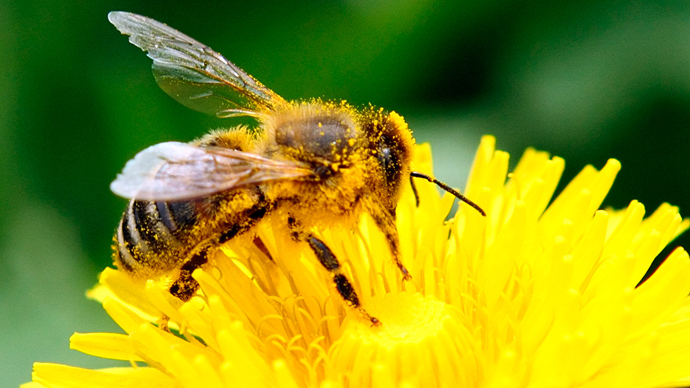 "Yearly fluctuations in the rate of losses like these only demonstrate how complicated the whole issue of honey bee [health] has become, with factors such as viruses and other pathogens, parasites like varroa mites, problems of nutrition from lack of diversity in pollen sources, and even sublethal effects of pesticides combining to weaken and kill bee colonies," Jeff Pettis, co-author of the survey and research leader of the Agricultural Research Service (ARS) Bee Research Laboratory in Beltsville, Md., said in the USDA statement. BeeLogics, a Monsanto-owned bee health company and a collaborator on the annual survey, laid much of the blame for the colony collapses on the varroa mite, an Asian bee parasite first found in the US in 1987, Reuters reported. "What is clear from all of our efforts is that varroa is a persistent and often unexpected problem," Dennis vanEngelsdorp, an entomologist at the University of Maryland and the director of the Bee Informed Partnership, said in a USDA ARS statement. "Every beekeeper needs to have an aggressive varroa management plan in place. Without one, they should not be surprised if they suffer large losses every other year or so. 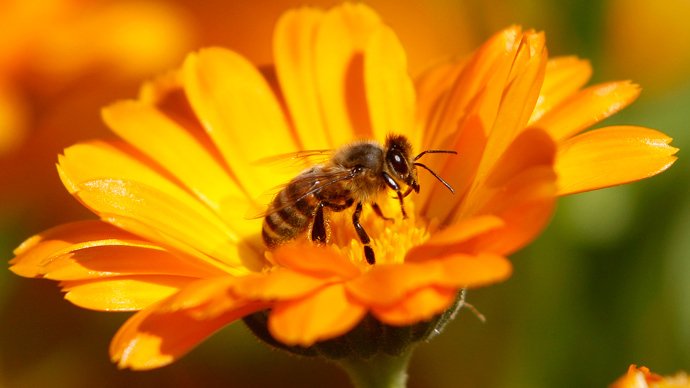 Unfortunately, many small-scale beekeepers are not treating and are losing many colonies. Even beekeepers who do treat for mites often don't treat frequently enough or at the right time. 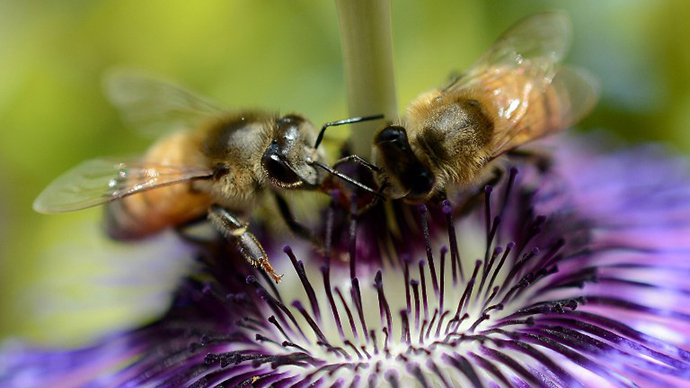 If all beekeepers were to aggressively control mites, we would have many fewer losses." This year’s Colony Loss 2013-2014 survey was conducted differently than in previous years, the researchers noted. It was the first time the scientists focused on summer colony loss as well. From April to October 2013, 20 percent of all colonies managed died, the study found. The combination of winter and summer losses was around 30 percent, vanEngelsdorp told Time. Been Informed Partnership and its collaborators hope the expanded survey will improve their understanding of CCD. "We used to think that winter was the critical period," vanEngelsdorp said in a news release. "But during our field studies, beekeepers told us they were also losing colonies in the summer months. So we expanded the survey and found that, in fact, colonies are dying all year round."